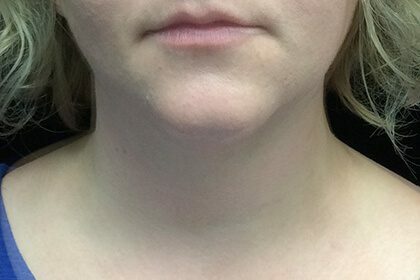 Have you ever wanted to eliminate neck fat under your chin but were hesitant to get surgery? 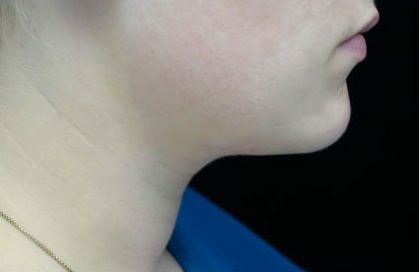 Kybella offers a non-surgical alternative to eliminate a double chin and is the only injectable approved by the FDA to permanently destroy submental fat. In a series of four to six treatments you could have a more defined jawline and tighter neck. Kybella is the first & only injectable approved by the FDA to both contour and improve the appearance of the neckline. Dr. Wooten performs the treatments in our safe & clean Wexford office, with no need for general anesthetic. 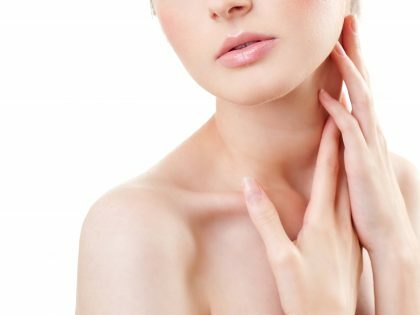 These injections are a wonderful alternative for patients who want to eliminate the excess fat under the chin and along the jawline, but are put off by either the cost of surgery or fear of going under the knife. injections are a wonderful alternative for patients who want to eliminate the excess fat under the chin and along the jawline, but are put off by either the cost of surgery or fear of going under the knife. Not everyone is a candidate for Kybella. First, you will come in to our Wexford / Sewickley office to be evaluated by Dr. Wooten during a short in-office consultation. She will examine you and discuss what a realistic result will look like for you. Then, according to the outcome of your consultation, we will proceed. 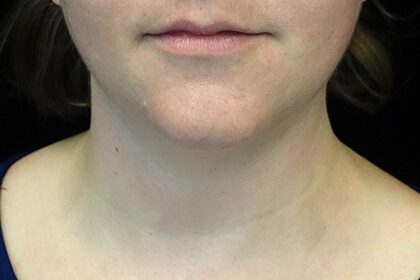 In a series of two to four treatments, Dr. Wooten will evenly inject Kybella beneath your chin according to your fat distribution. Each time, the injections will help to destroy fat cells, while leaving the surrounding tissue unharmed. As with all of our consultations, we would collect a $75 consultation fee at the time when we first schedule your appointment. This would then be applied to the procedure you choose to have. The actual total cost of your treatment will also depend on your consultation with Dr. Wooten. Depending on the amount of fat you have under your chin, Dr. Wooten will need anywhere between two to four treatments in order to achieve your best result. 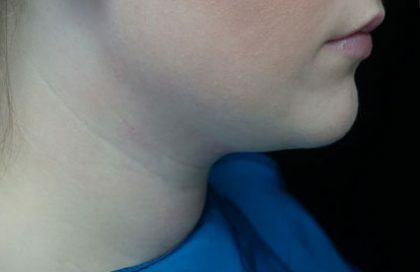 The great thing about Kybella, as opposed to other fat reduction options, is that it is non-surgical. That means no anesthesia, practically no down-time, and an easily managed recovery. You will experience swelling shortly after each treatment which will dissipate within weeks. Our office will help you manage your swelling with homeopathic solutions and a compression garment, which you will be asked to sleep in for a while. Within three to four weeks, your final result will be visible. The result is long-lasting (as long as you maintain your weight). Much like we say to our liposuction patients, these sorts of treatments are not a weight-loss program, instead they are a way to contour and shape. Your own effort at fitness & a healthy lifestyle are as important to your best outcome as Dr. Wooten’s technique is.